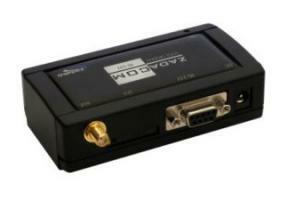 ZadaCOM modem presents a modern solution of mobile industrial connection. It supports EDGE technology which delivers the data transfer three times faster than GPRS. The installation is very simple, modem is ready to use after inserting the SIM card and installing drivers. Modem is suitable for the applications that require a permanent connection as in the GPRS network you dont pay for the time you are connected, but for the volume of transferred data. It presents an interesting alternative for fixed and comuted communication circuits. remote control, operating and configuration of distant devices.